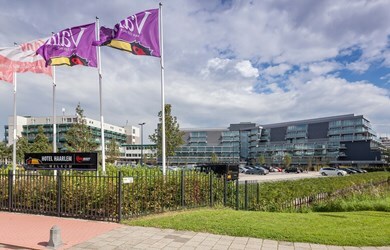 Hotel Oostzaan-Amsterdam is located next tot the A10. The hotel has 13 conference rooms, 143 luxury rooms and its own wellness center with swimming pool, sauna and a gym. 13 meeting rooms, free parking and wifi. Your guests will be equipped with all comforts. 143 luxurious rooms and suites with whirlpool and rainshower. Relax in style after a busy day. A spacious restaurant and cosy hotelbar. Let our culinar possibilities surprise you! New and beautiful decorated hotel, a little far from downtown but it is worth it. 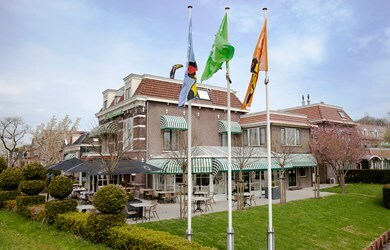 Hotel Haarlem, a spacious hotel on the edge of the historic city center. The hotel has 14 Green key gold rooms for small and large events, 315 luxurious rooms and suites and an atmospheric restaurant for delicious dining. Or use the Anybody Healthcenter! When will you visit us?